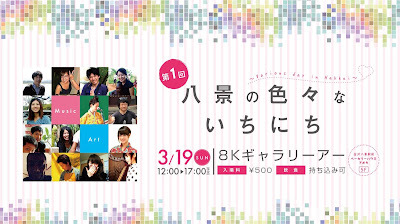 The event 'Various day in Hakkei' will be held in Yokohama with various people who will introduce art, music, Live and Talk. We shall also introduce GBN's works and African's original Craft and Accessories will be ON SALE. Please come and join us!